As the original Walking Dead appears to be nearing the end of its journey, Season Four of Fear the Walking Dead proves that there is still plenty of stories to be told in this world. I think the biggest mistake that the original series made was its reliance on a core cast of surviving characters. Sure, one or two quasi-principal characters would die from time to time, but the solid core remained unchanged for nearly six seasons. The draw of the comic book and the original hook of the TV series was the unpredictability from week to week. The Walking Dead tried to course correct with the long-overdue introduction of Negan, but for most of us, it was too little, too late. Meanwhile, it seems that Fear the Walking Dead has learned from its predecessor and is proving that great storylines, not legacy characters are the key to the franchise's success. In season four, this maxim is put to the test as Morgan Jones proves to be the first cross-over character from The Walking Dead to get invited to the Fear party. Much like previous seasons of the flagship show, Season Four of Fear the Walking Dead gives its cast a ray of hope in the form of a baseball stadium where one would guess they would find safety. As is often the case, this feeling is short-lived as another group of survivors known as The Vultures (great name) assert their dominance. I think the best parts of Season Four come from the new characters. Yes, Lennie James is the real star and an established character in the mythology, but I thought the newcomers were really strong, particularly Maggie Grace and Garret Dillahunt. While I think they have both brought a new edge to the series, Maggie's Althea might just be my favorite character in the entire franchise. We've seen Maggie in roles that seemingly come naturally for the beauty, but Althea's grit and edginess is something new for the actress and she's able to bring real life to the character in a short time. I also have a feeling that her character's overriding need to chronicle the survivors presents a very interesting closing point for the franchise that I had not entertained until now. Ever since the debut of The Walking Dead, I figured that there would eventually be one of two possible endpoints for the series. Either a "cure" or some other solution would present itself that would wipe out the zombies entirely or humanity would eventually be overrun completely. From the escalating human on human violence showcased on the main series, the latter solution seemed the most possible. However, the idea that a record of the zombie apocalypse with firsthand accounts could survive into the far future when the zombie virus has run its course to be found by offspring generations removed from these primary survivors is an intriguing twist that I hope the creators entertain. 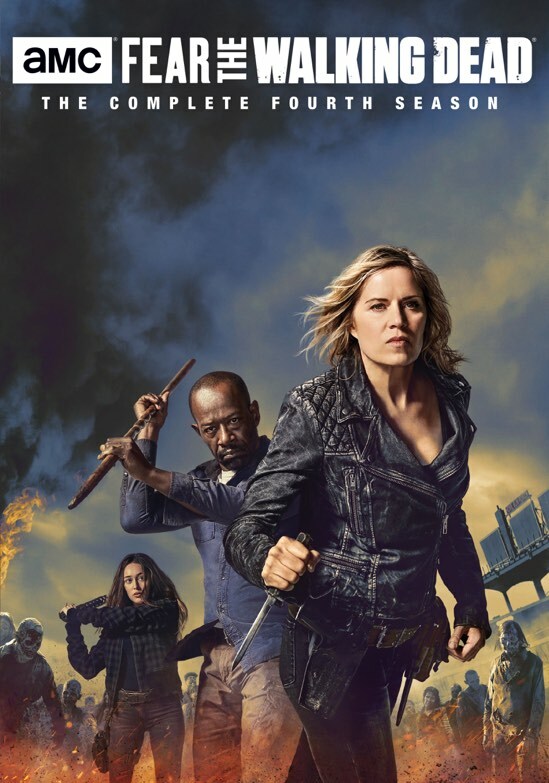 Whatever path the shows choose, it's pretty clear that the upstart series Fear the Walking Dead is on an upward trajectory while the original series is going the other way. But, the strength of these last two seasons gives me hope that we will continue to see strong stories set in this world for many, many more years to come. 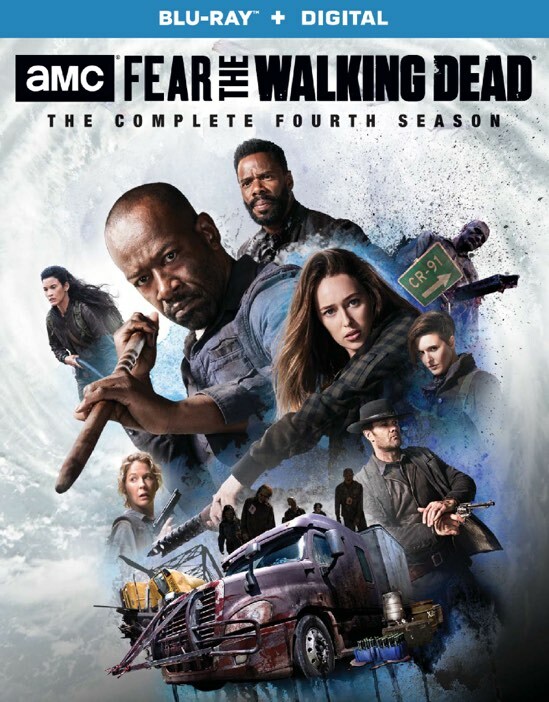 Fear the Walking Dead: Season Four is now available on DVD and Blu-ray.